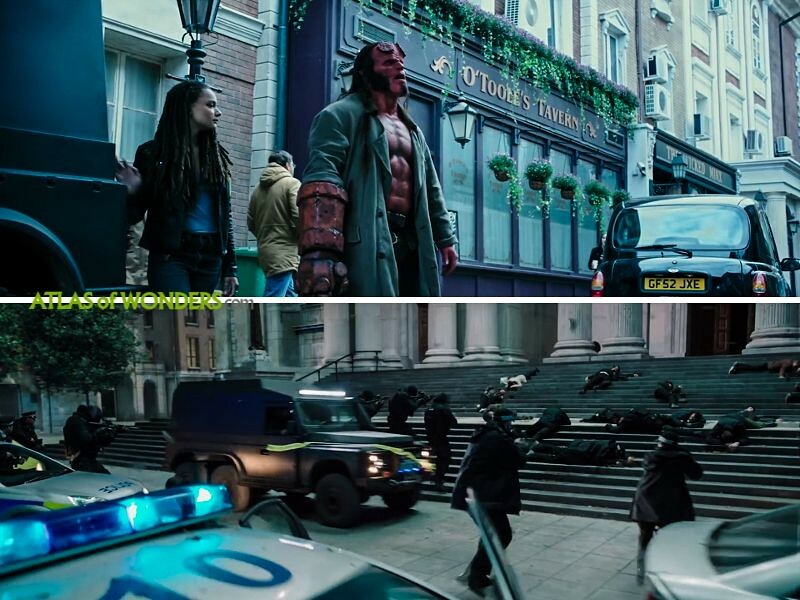 Filming locations: Where was the new Hellboy 2019 movie filmed? 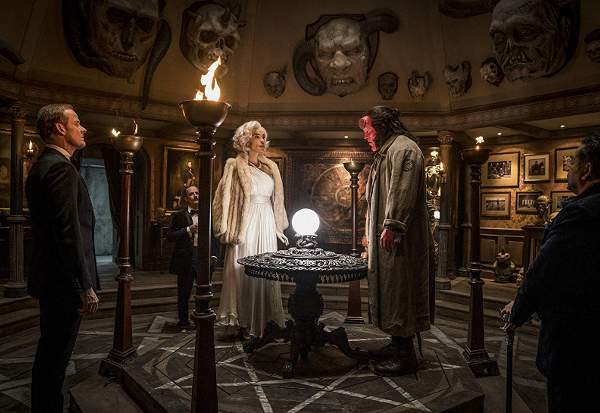 The new Hellboy movie is not a continuation of the previous films from 2004 and 2008 with Ron Perlman and Guillermo Del Toro. This is a reboot, closer to the original comic books created by Mike Mignola, about the antihero character from hell. The project was originally subtitled Rise of the Blood Queen, as the story is adapting materials from the graphic novels set in England, where the witch Nimue brings the apocalypse to London. The film is directed by Neil Marshall (Game of Thrones, The Descent) and stars David Harbour, the actor who became famous for his role as Jim Hopper in Stranger Things. Milla Jovovich (Resident Evil, The Fifth Element), plays the medieval sorceress Nimue and Ian McShane (Mr. Wednesday from American Gods or Winston from John Wick) performs Trevor Bruttenholm (or Professor Broom). 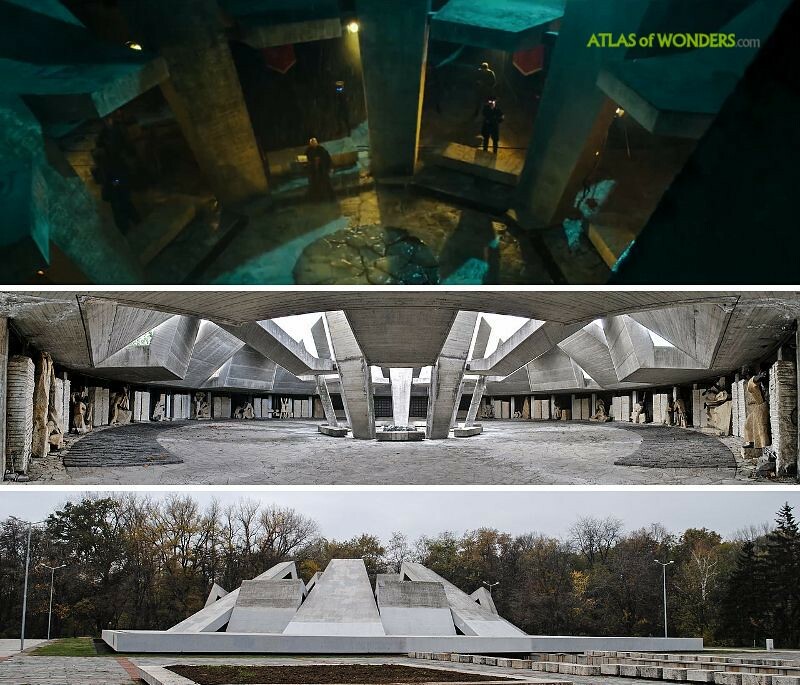 The temple where Hellboy is summoned from the depths of hell in a Scottish island was filmed in the bizarre concrete communist monument from 1974, the Hillock of Fraternity in Plovdiv (Bulgaria). Where is located the O'Toole's Tabern? And the Codswallop shop hidding the BPRD (Bureau for Paranormal Research and Defense) secret base entrance? The London Backlot Set in Nu Boyana Film Studios contains several permanent streets and practical interiors for filming. 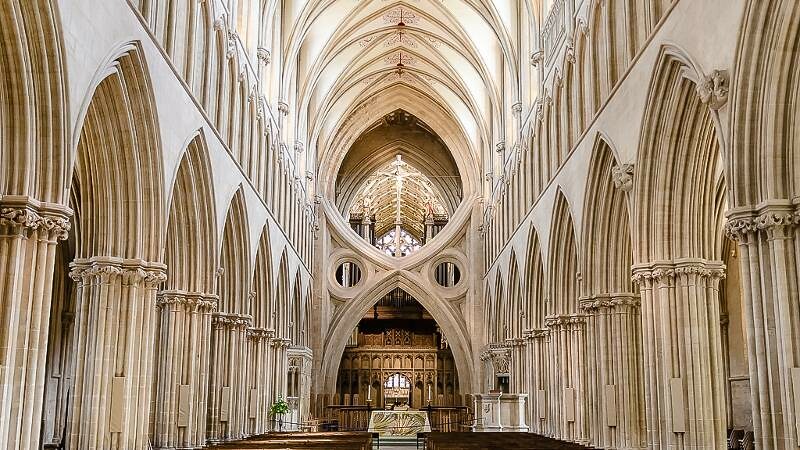 In the complex there is also a replica of St. Paul Cathedral front facade and stairs, that was previously built for the 2016 action thriller London Has Fallen. The headquarters for the shoot in UK were set in Bristol’s Bottle Yard Studios. 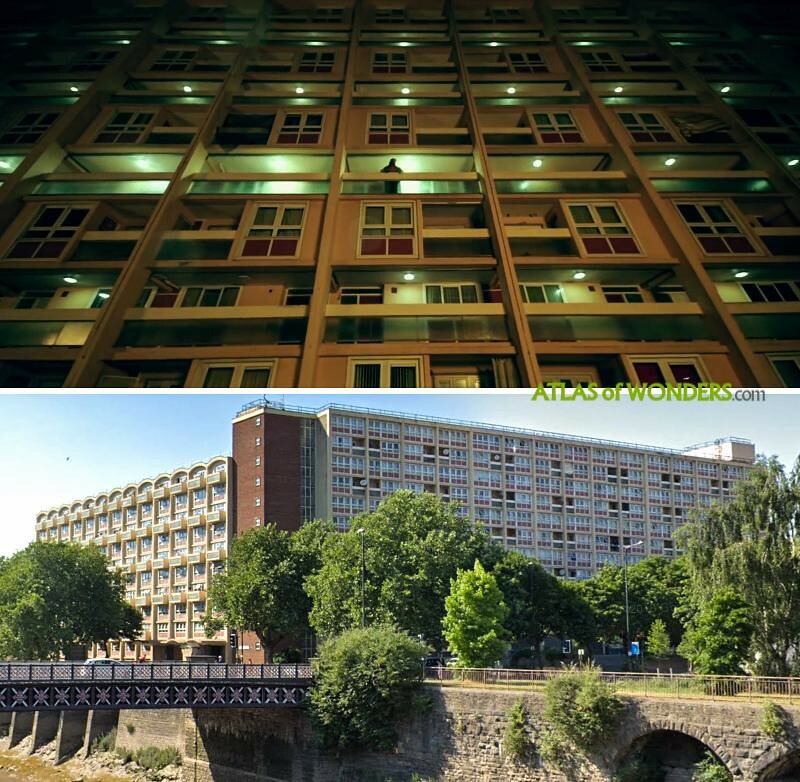 Pictured, a scene filmed in the Waring House block in Redcliff Hill (Bristol), a singular edifice built between 1958 and 1960. 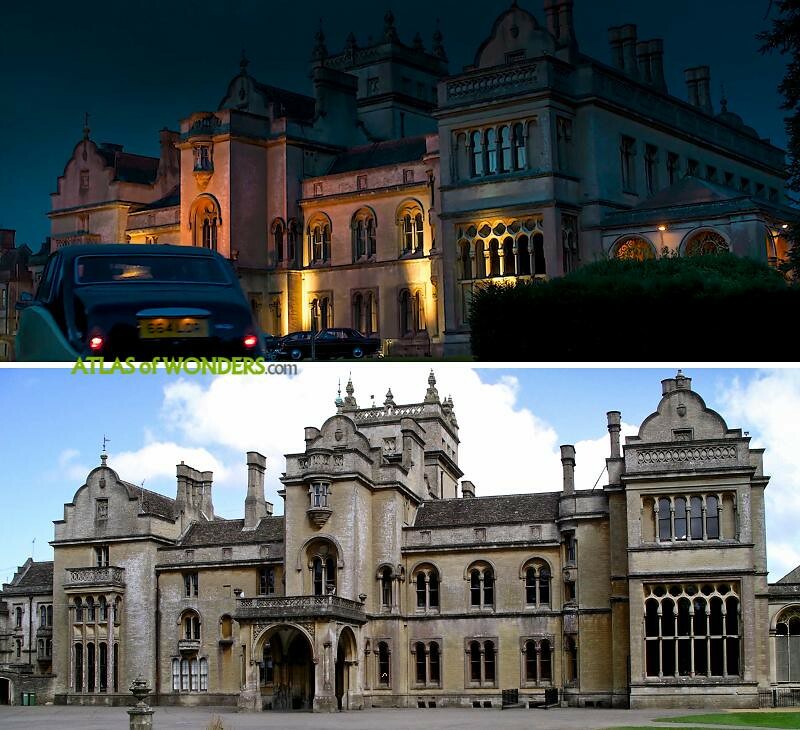 Can you help to improve this article about the filming locations of Hellboy? To complete and correct this report, any feedback, info or images that you may have are more than welcome, thank you! Where did they film the set piece visible in the trailer, of a mountain base on a cliffside where a helicopter lands. I believe it is their main headquarters. Ive seen it in another movie as well but cannot find or place it.